Muon, a scientist like his father, may be named after a sub-atomic particle but everything else about his life is an exotic fusion. His father, Ralph, is an eminent particle physicist and his mother is an ageing prostitute who still plies her trade on the streets around Cadet in Paris. Muon's brother Jean-Lou has a bar and a partner, Venus Rose, a drag artiste, with whom he has been in love for the last forty years. 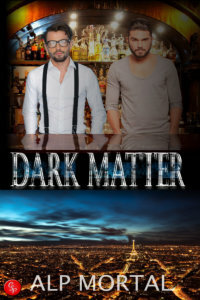 A conference in Paris, attended by Muon and his father, brings them all together for the first time in a long time ... the stage is set for a romance-laced thriller which pitches father against son and shines a light into the darker corners of Ralph's glittering career. At the end of the day, what price to safeguard a reputation and what sacrifice for the love of a brother? Visit the website, alpmortal.weebly.com, for updates on the next gay romantic story or crime thriller which I am working on.